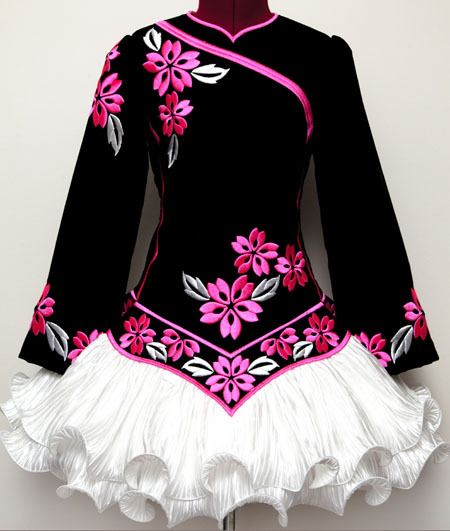 Centre front dropped waist to hem: 9"
Black velvet bodice and sleeves, with fluoro pink and white asymmetrical floral embroidery design. Modern style skater skirt constructed from two layers of white pleated satin. 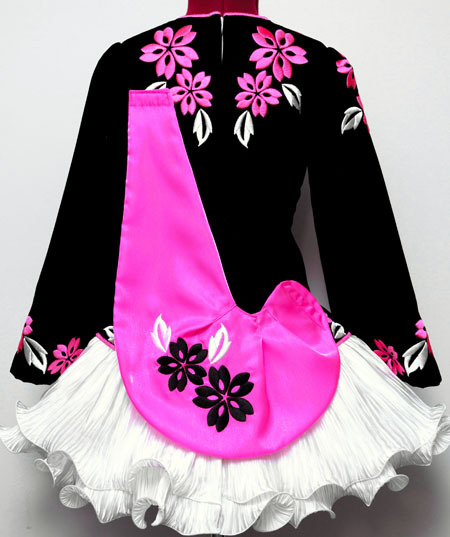 Soft style shawl constructed from fluoro pink twinkle satin with matching black and white embroidery. 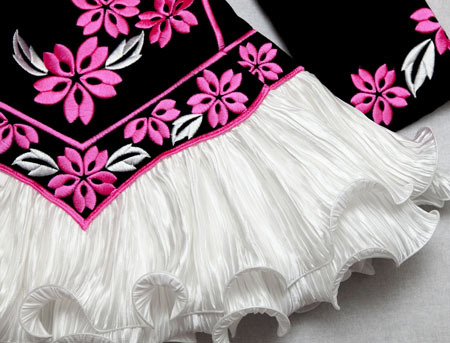 Bright pink and white striped skirt lining.